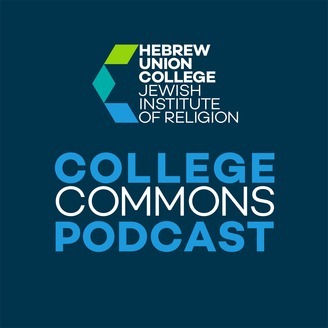 The College Commons Podcast, passionate perspectives from Judaism's leading thinkers, is produced by Hebrew Union College, America's first Jewish institution of higher learning. 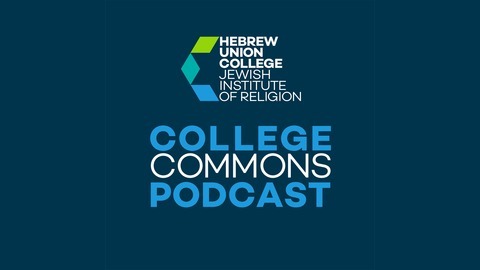 How has American Judaism developed in the context of American Protestantism, and what have we learned from one another? Benjamin Sommer is Professor of Bible at the Jewish Theological Seminary. The Israeli newspaper Ha’aretz described Sommer as “a traditionalist and yet an iconoclast – he shatters idols and prejudices in order to nurture Jewish tradition and its applicability today” and characterized his thought as “a synthesis of intellectual acuity, clarity, deep knowledge of classical Jewish texts along with contemporary Christian theology and ancient Near Eastern literature.” His book, Revelation and Authority: Sinai in Jewish Scripture and Tradition, received the Goldstein-Goren Prize in Jewish thought for 2014–2016 and was a finalist for a National Jewish Book Award. Publishers Weekly selected it as a “recommended book” in religion, describing it as a “groundbreaking work . . . clearly written and broad in application.” His earlier books, The Bodies of God and the World of Ancient Israel and A Prophet Reads Scripture: Allusion in Isaiah 40–66, also received multiple awards. Sommer frequently teaches rabbinic and lay groups in the United States and Israel. He and his wife, Jennifer Dugdale, are members of Congregation Beth Sholom in Teaneck, New Jersey. His children, Avraham, Sarah, and Eliana have attended Solomon Schechter Schools and SAR High School. Professor Marc Brettler: The Bible Says That?